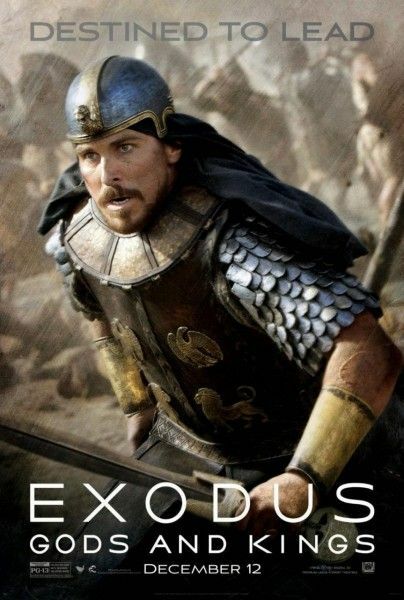 20th Century Fox just released a brand new Exodus: Gods and Kings featurette in which director Ridley Scott states the obvious, that his latest is epic in scale, but the studio also just unveiled two new clips that offer up a taste of some of the quieter, more intimate moments of the film. The first gives us our first good look at Maria Valverde’s Zipporah as she runs through what makes Moses (Christian Bale) happy – while her bracelets jingle incessantly – and then the second shows what happens when you lie to Ramses (Joel Edgerton). They’re both quality clips, but I also can’t say there’s anything particularly mind-blowing about them that’ll have you eager to see the film as soon as it comes out. Hit the jump to check out both Exodus: Gods and Kings clips as well as that aforementioned featurette. The film hits theaters on December 5th and also stars John Turturro, Aaron Paul, Ben Mendelsohn, Sigourney Weaver and Ben Kingsley.